Congratulations to the U.S. women's national soccer team, winners of the 2015 Women's World Cup! The U.S. beat Japan in an impressive 5-2 win, becoming World Cup champions for the first time since 1999, and for the third time total—a record for women's soccer. The final game was also the most watched soccer game in U.S. history! 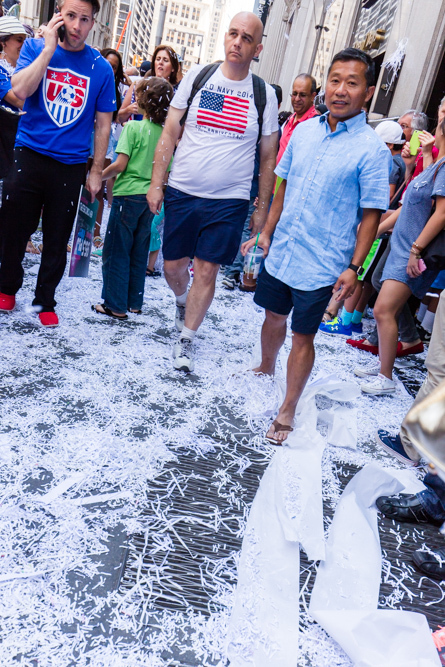 On Friday, New York City held a rare ticker-tape parade in the team's honor, filling the streets of lower Manhattan with soccer fans decked out in red, white and blue. 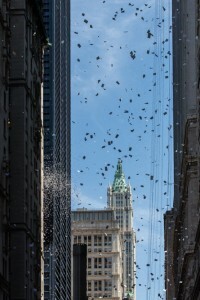 A ticker-tape parade allows large amounts of shredded paper (originally actual ticker tape, but now mostly confetti) to be thrown from nearby office buildings onto the parade route, creating an amazing spectacle. 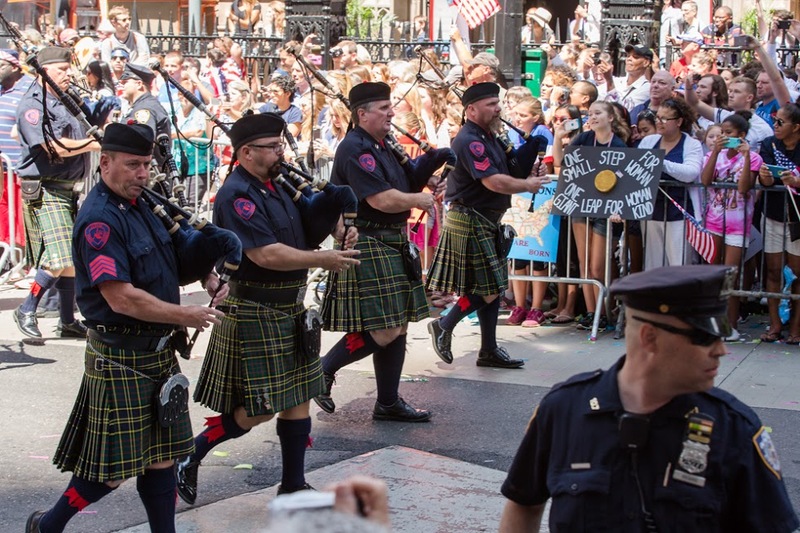 The parade was held along NYC's Canyon of Heroes, which runs from Battery Park along Broadway up to City Hall. This was the first time a women's sports team has been honored with a Canyon of Heroes ticker-tape parade, and the first time any female athlete has been honored since 1960, when figure skater Carol Heiss Jenkins won Olympic gold. 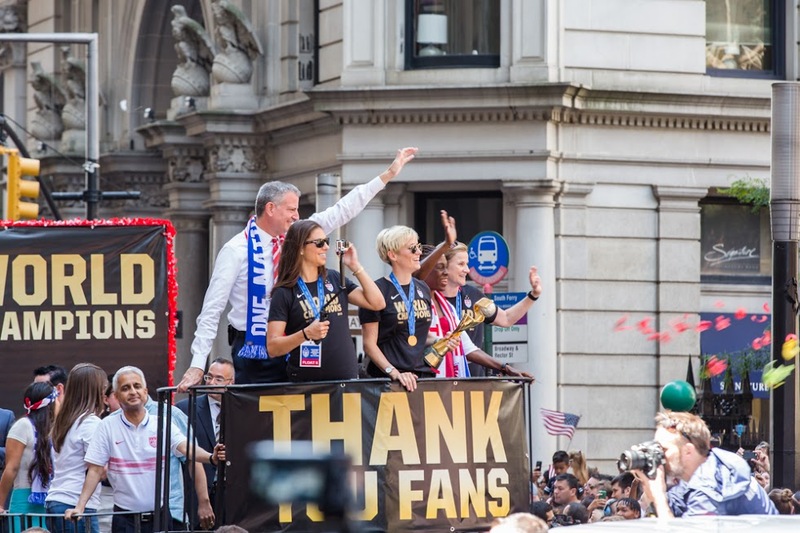 Members of the U.S. Women's National Team celebrating their World Cup win in NYC with the Canyon of Heroes located just blocks from the new InterExchange office on Wall St. We were thrilled to be able to attend and see our soccer heroines enjoy this honor!